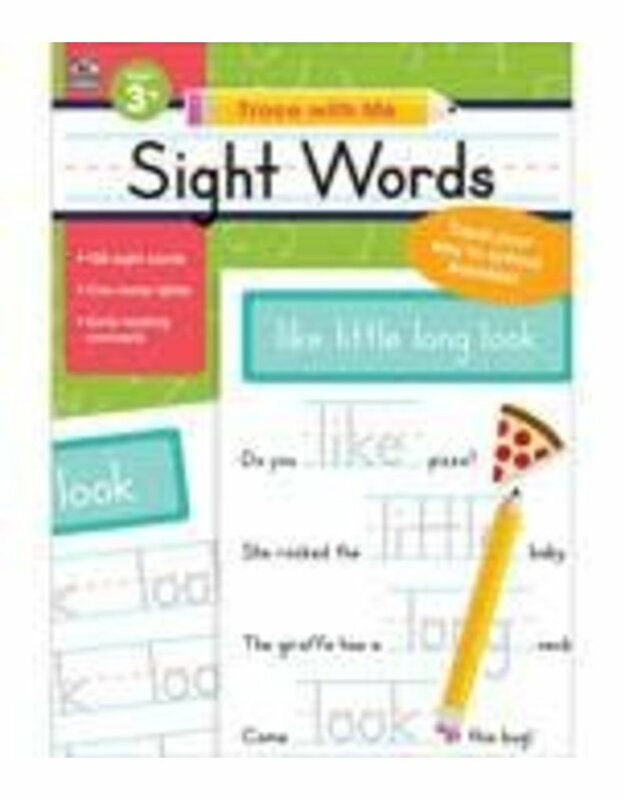 Develop fine motor skills and early reading skills with the Trace With Me: Sight Words activity book. This early learning activity book provides hours of tracing activities to help your child form 100 sight words. In Trace With Me: Sight Words, your child will practice handwriting skills while learning to recognize and form essential sight words. Each activity teaches reading concepts and prepares your child for kindergarten success. The Trace with Me series gives your child the practice to master printing skills and more. Each activity book features a variety of colorful tracing activities that help young learners develop fine motor skills and vocabulary. These activities also provide opportunities for your child to practice early reading and basic concepts.